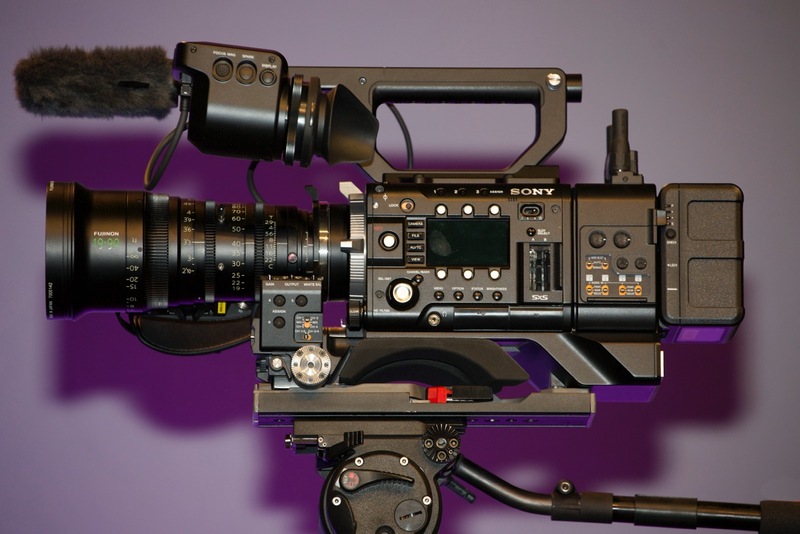 Sony introduced a totally new F5/F55 shoulder dock. From the people who brought you many shoulder-resting ENG camcorders—this kit provides familiar camcorder functions to the F5/F55. Basically, it’s a base and rear that attaches to the bottom of the camera. It gets power and signals through the rear multi-pin connector where the AXS-R5 Recorder previously plugged in. The top handle gets a redesign. The words “modular, unibody, and convertible” come to mind. A dock for documentaries and ENG: ENG & DOC DOCK. Wireless audio receivers will be accommodated onboard.